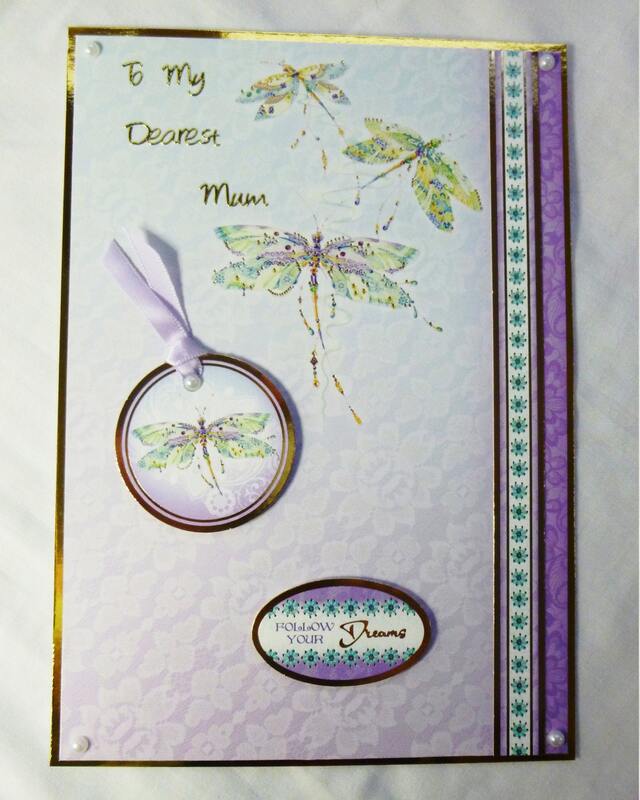 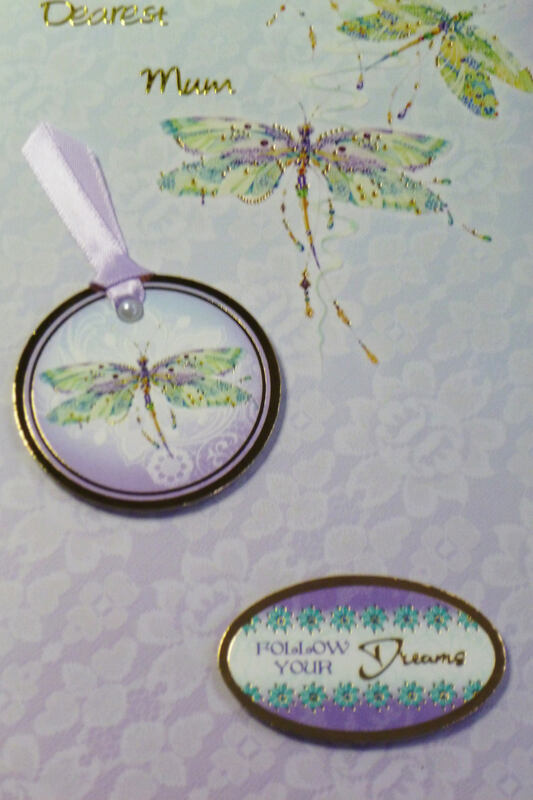 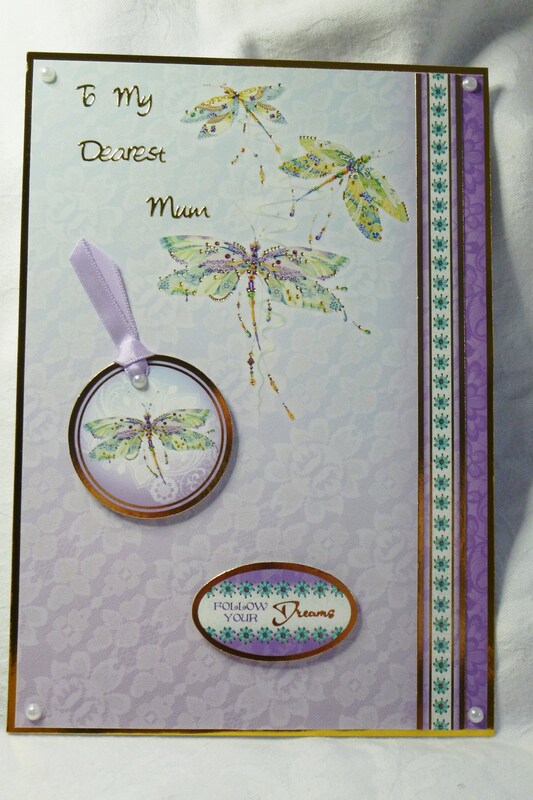 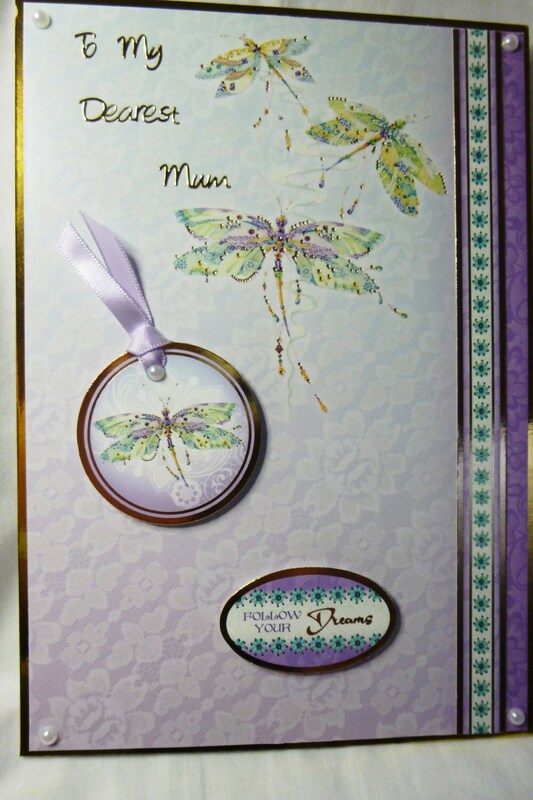 Birthday card, made from White card base, layered with gold card and patterned card, patterned strip down the right hand edge of the card, a small round tag with a satin lilac ribbon pulled through with a pearl embellishment in the centre, a small oval sentiment which says, 'Follow Your Dreams'. 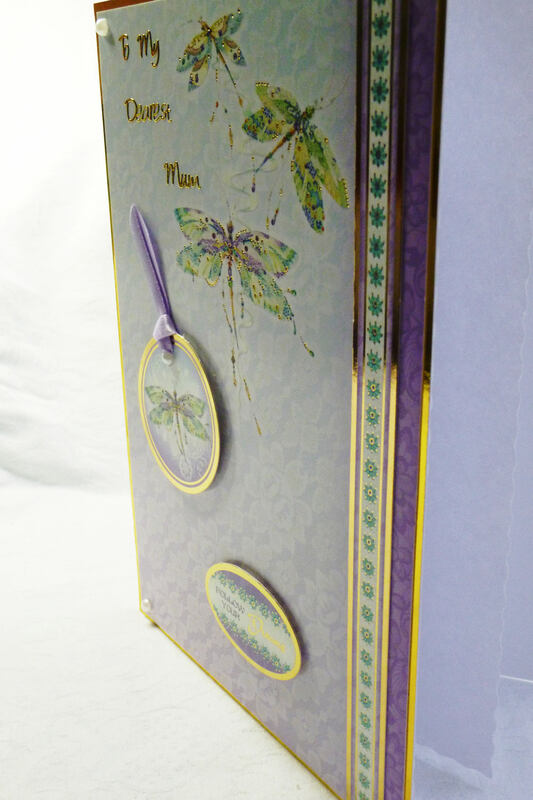 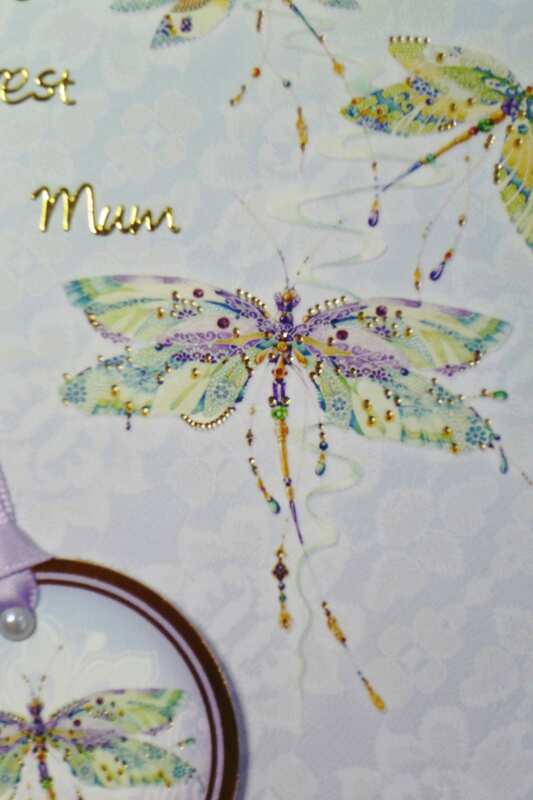 4 pearl embellishments one in each corner of the card. 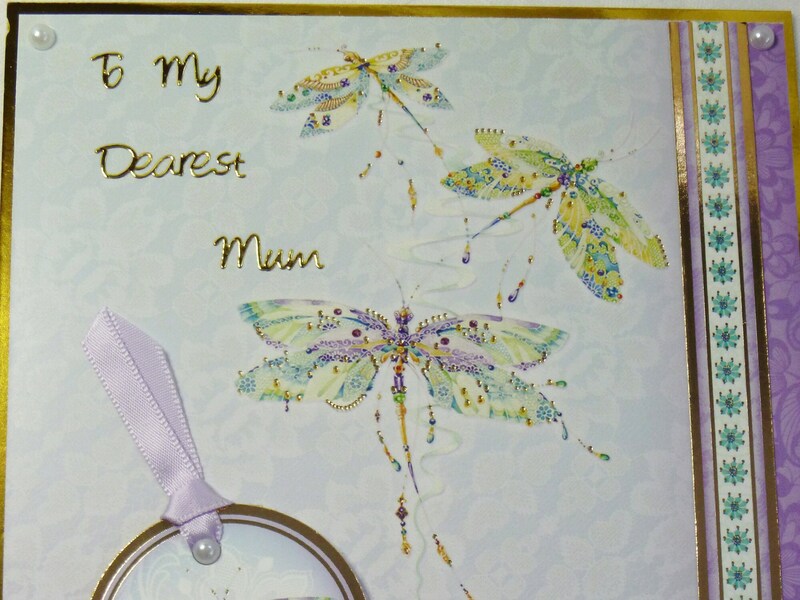 In the top left hand corner are the words 'To My Dearest Mum'. 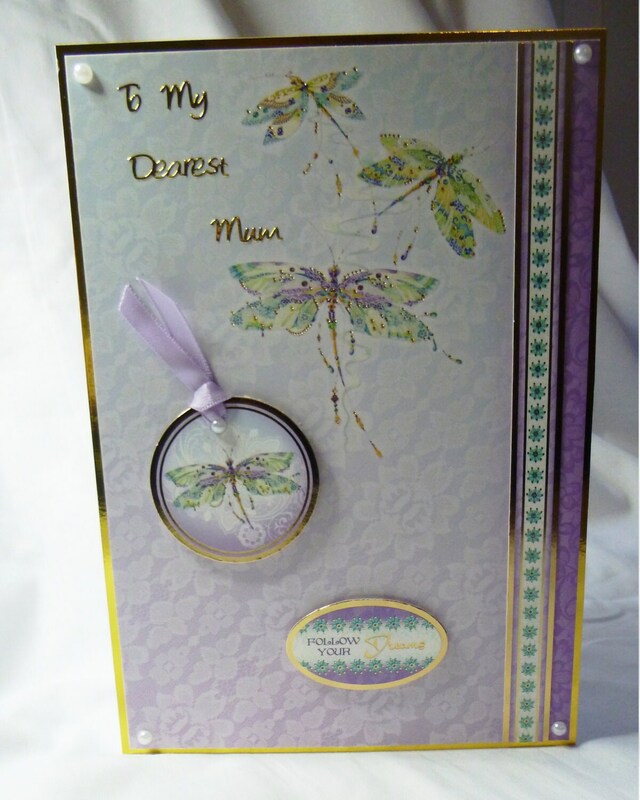 The inside of the card is left blank for you to write your own message.